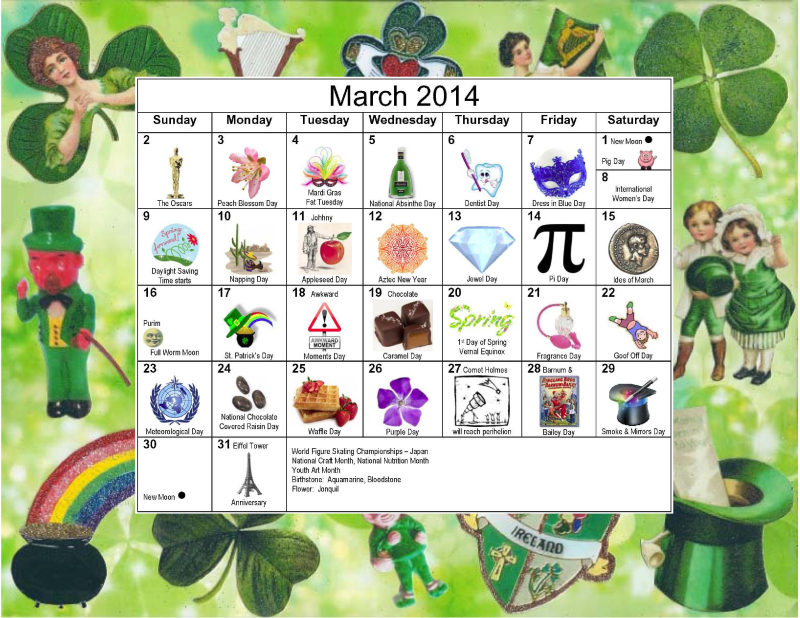 I hope you enjoy my March 2014 Calendar. Will you be watching the Oscars this Sunday? The only movie I watched last year was The Great Gatsby. It's Oscar-nominated for Costume Design and Production Design. I could watch it again already. Wishing you a very lucky March!